While Niagara Falls enjoys much more temperate summers than our neighbors to the south tend to, that doesn’t mean the heat can’t sometimes still be stifling. Temperatures often reach over 80 degrees Fahrenheit at the height of summer, and every now and then, they can hit 90, which means figuring out how to manage the heat — or avoid it — just might be a necessary part of enjoying Niagara Falls. 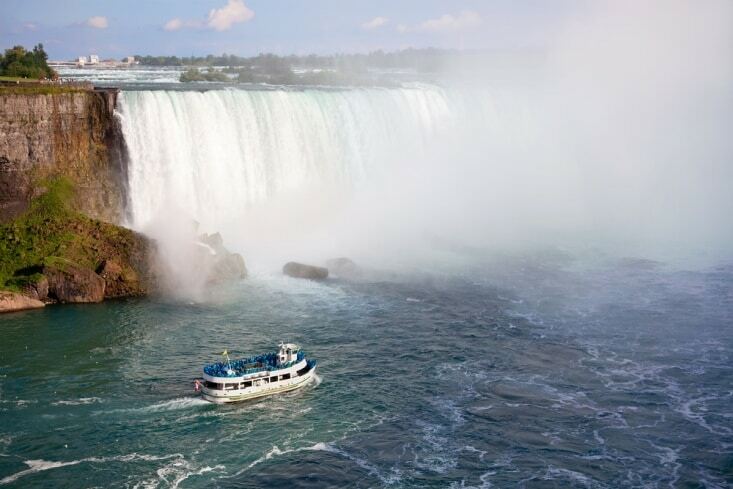 For anyone looking to enjoy a summer trip to Niagara, here are three easy and fun ways to beat the heat. For an option that will beat the heat and keep you in high spirits if it happens to rain, there are few opportunities as perfect as Fallsview Indoor Water Park. With 125,000 square feet of water-based fun, the water park is one of the best places to indulge in watery thrills in all of North America. There’s a gigantic 1,000 gallon tipping bucket, a full-sized wave pool, eight different waterslides — some of which get as high as six stories and can be accessed by rope ladders, two adults-only Jacuzzis for weary parents who need a break, an outdoor play pool that has basketball goals, a year-round sunning deck, and a children’s play area called the Tiny Tots Splash Park. When it’s too hot to brave the day dry, get wet at Fallsview Indoor Water Park. One of the most iconic attractions in the Niagara area, the captains of the Maid of the Mist have been taking visitors to the base of the Falls for well over 100 years — even Marilyn Monroe took a ride when she was in town shooting the film “Niagara.” A perfect way to experience the power of Niagara Falls, the Maid of the Mist will get you up close and personal, so you can hear the thundering roar and feel the deliciously cooling spray of the water it crashes before you. You’re guaranteed to get wet on this ride, which, on a hot day, is absolutely perfect. When the heat has to be escaped, but you aren’t in the mood to get wet, make your way to Louis Tussaud’s Waxworks. This incredibly fun, odd attraction has over 100 wax figures spread throughout 16 themed galleries, and because those wax figures need to be kept cool, you’ll never break a sweat in Louis Tussaud’s. See the cast of “Harry Potter,” and take your photo with your favorite comic book heroes and villains. From Oprah and Arnold Schwarzenegger to John Lennon and former president, Bill Clinton, the wax museum has movie stars, music legends, celebrities, and historical figures that are so life-like you’ll be able to pass your photos off as authentic, and you can do it all safe from any sweltering heat that’s waiting outside. So, take a summer vacation to Niagara Falls. Even in the event of unseasonably warm weather, the area has more than its share of fun attractions to help ensure you and everyone with you easily beat the heat.